This is the last one in this series old kutchwork projects. 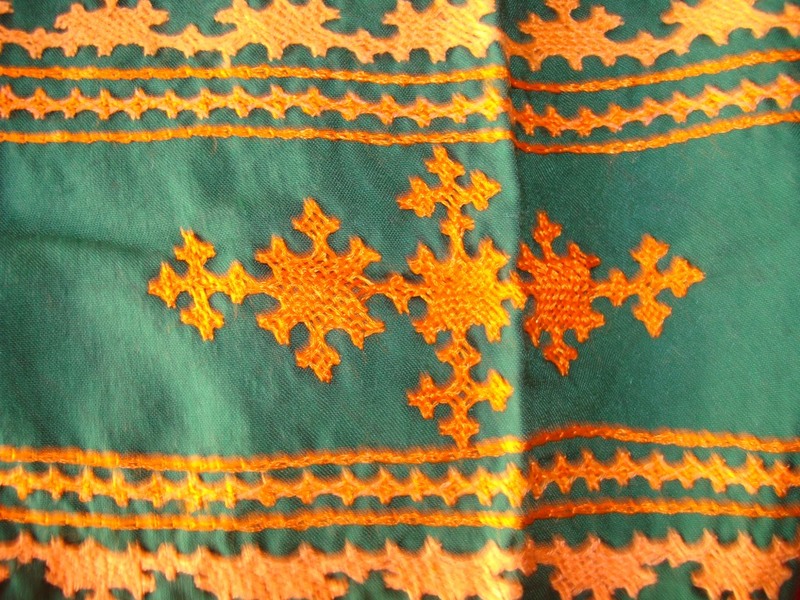 I had a plain orange Bengal cotton saree with zari border.For this, I co-ordinated with plain green blouse. 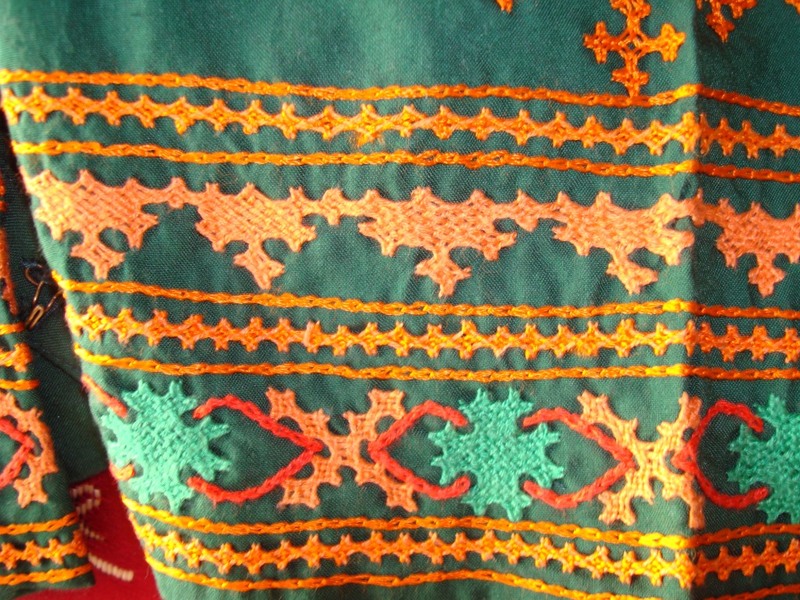 Few similar shades of orange , light green and red thread were chosen for the kutchwork embroidery on sleeves. 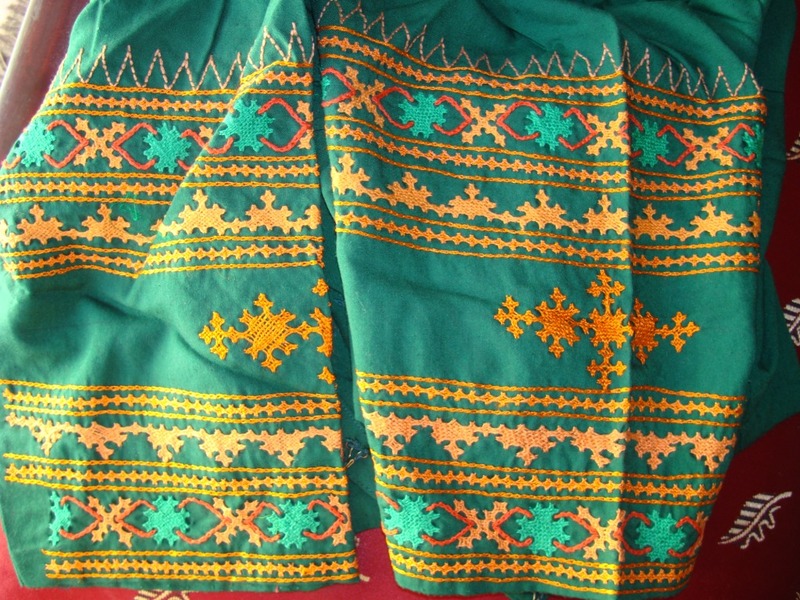 The pattern was two kutchwork borders intercepted by single row of kutchwork. A wide motif was done in the centre- a few common motifs added together. The mirror image of the two borders are added at the bottom. The whole pattern was drawn on inch graph paper. Along with kutchwork, rows of chain stitches were also done.
. The unavailability of kutchwork designs and ignorance of the sources led me to design my own kutchwork patterns. I did not even have similar samples to compare them with. While designing, transferring,embroidering,sewing[tailor] and wearing them. 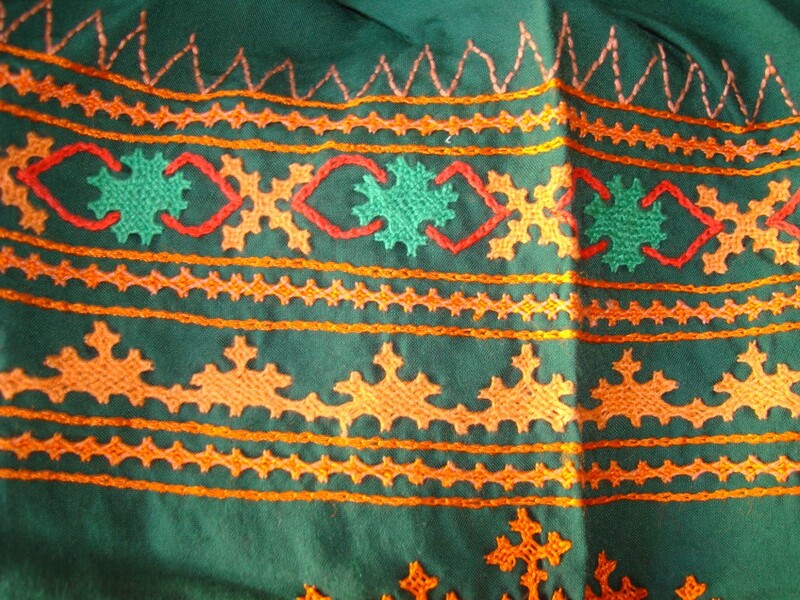 After writing so many posts on kutchwork, Iam itching to do kutchwork now!